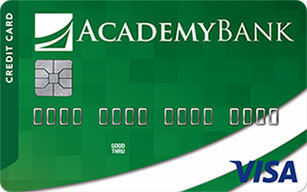 Does Academy Bank offer identity theft protection services? While Academy Bank is fully committed to protecting your information, we no longer offer the Identity Protection product. Please visit our Identity Theft page to learn about steps you can take to protect yourself. Currently enrolled customers may still access their benefits by going online here or by calling Identity Protection's Customer Support at 1 (855) 595-6488. How can store data breaches happen? When your card is swiped at a merchant or you enter your number into the computer when buying online, the information is transmitted to third parties that process that information so we can accept your transaction. A criminal may be able to gain access to your card information through one of the entities involved with processing your transaction, including the merchant. While fraud resulting from data compromises is rare, it's important to understand that you're protected with Visa's Zero Liability policy, which means you pay nothing for unauthorized purchases on your account. Let us know immediately if you see unauthorized purchases. Regular monitoring through Online or Mobile Banking is the most convenient way to do this. If you aren't signed up, click here to get started and track all of your transactions anytime, anywhere. Sign up for account alerts. When you sign up for this free service, you’ll receive automatic push notifications, text messages or email alerts based on your selection criteria. This could include purchases or transactions above a certain dollar amount, email or password changes, or low balance alerts. Fees from your mobile phone carrier may apply. Report any suspicious activity by either visiting your local banking center or calling us at (877) 712-2265. Be extra vigilant against phishers looking to steal additional private information. It often starts with an email and a link to an Internet site that looks real but may be a scam to get you to enter your personal information. Academy Bank will never ask you for this personal information in an email. What can I do to ensure identity theft doesn't happen to me? Check your credit report. Consumers are entitled to one free copy of their credit report every year at www.annualcreditreport.com or by calling (877) 322-8228.